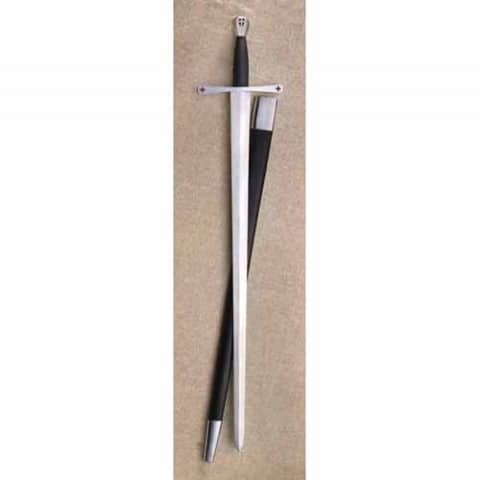 Exact replica of the sword used by Templar Rene from the movie Soldier of God. 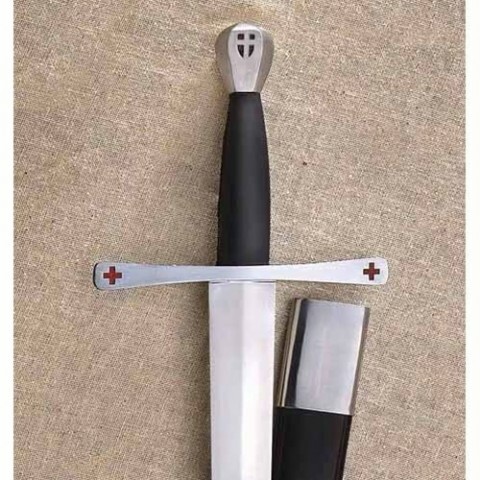 Red crosses on the guard ends and a carved cross on both sides of the pommel. One or two handed leather covered wood grip. Blade 86.5cm x 5cm wide.